tags: Remember everything. Forgive nothing. After being recovered from the sea, and after losing the one he loves, Jason Bourne is one more step closer to finding out how David Webb became Jason Bourne. Whilst Pamela Landy has decided to leave Bourne alone, CIA Deputy Director Noah Vosen has other plans. He believes that Bourne is still dangerous and must be eliminated, before he finds out his true identity and takes the CIA down with him. 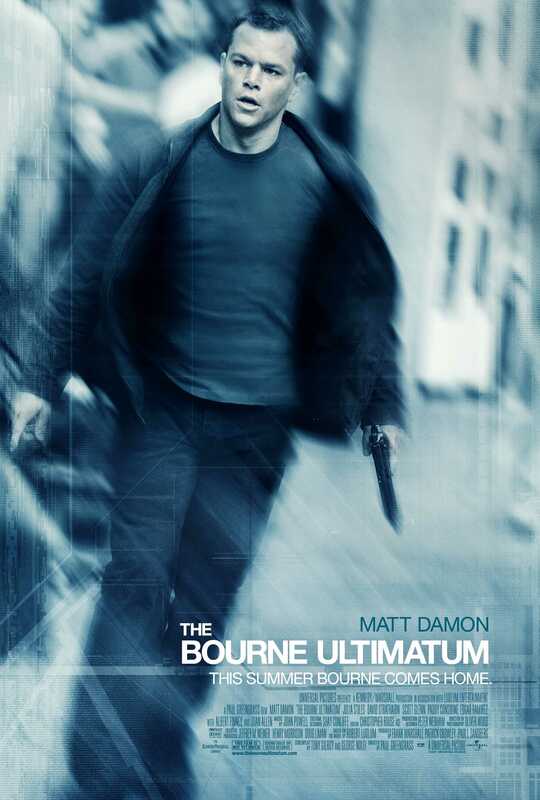 Bourne is once again brought out of hiding, Jason Bourne is now hunted by the people who made him what he is--legendary assassin. Having lost his memory and the one person he loved, he is undeterred by the barrage of bullets and a new generation of highly-trained killers. Bourne has only one objective: to go back to the beginning and find out who he was. The third entry in the Bourne franchise has clearly been made with the established audience in mind. If you haven't seen the first two films then forget it. You will have no chance of following this one with any real success. But for those of us who came in at the start this is a better reward for our loyalty than we could ever have dreamed of. Cleverly setting itself between the final two scenes of The Bourne Supremacy this is a nail biting, emotional final (well hopefully final) entry in the series. With your emotions now firmly invested in several of the characters Director Greengrass put them firmly in harms way and keeps the tension levels cranked up to full throughout. The lengthy cat and mouse sequence between Bourne and a Guardian reporter whilst they are pursued by assassins in Waterloo Station is a masterclass in how to put tension across on screen and the editing of the final few moments mergin into the closing music is simple but oh so effective. If you've seen the first two films and not this then what are you waiting for?. If you haven't seen either of the very good first two films then get down to the video store so you can be blown away by this finale. The law of diminishing returns has just been turned upside down!. Geez... I just saw this movie last night, and it's been a long, LONG while since I've been totally griped by a film for 2 ('ish) hours.